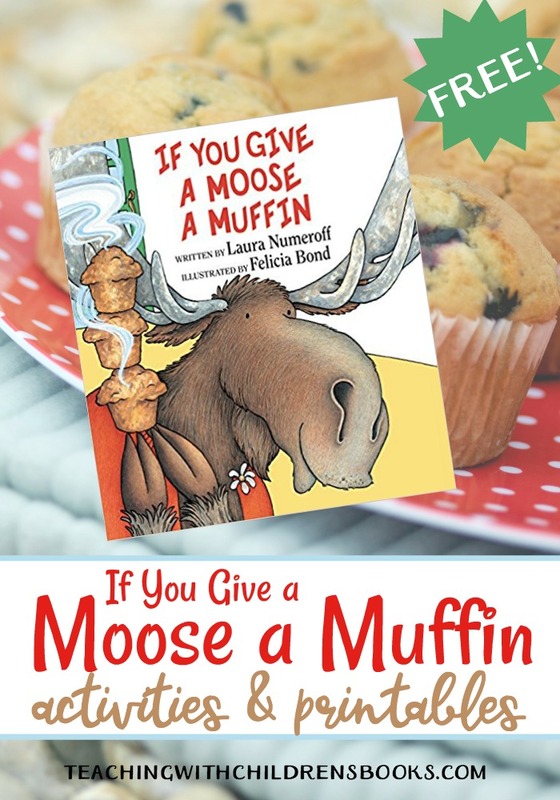 It’s no secret that I am a big fan of Laura Numeroff and her “If You Give…” book series. Most kids are big fans, too. Her circular stories are so fun to follow all the way from the beginning until it circles back around at the end. 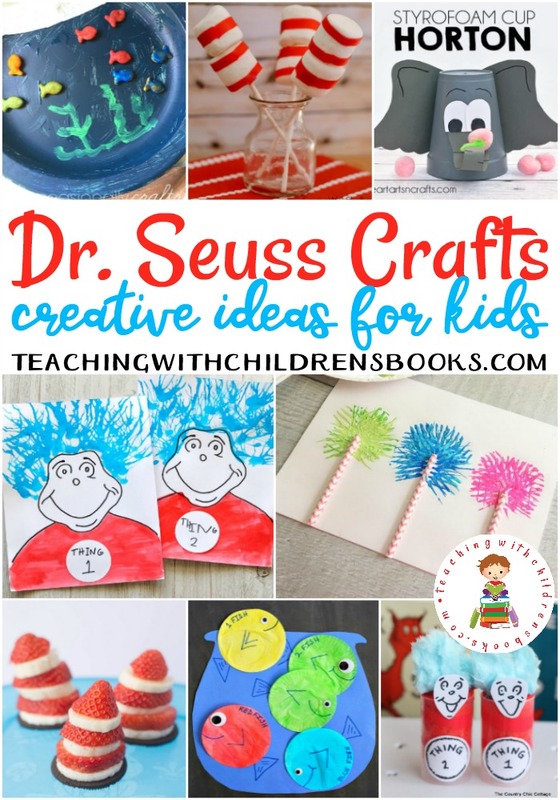 Whether you’re reading about the mouse, the dog, the moose, or any of her other stories, here are some crafts that will make great follow-up activities. 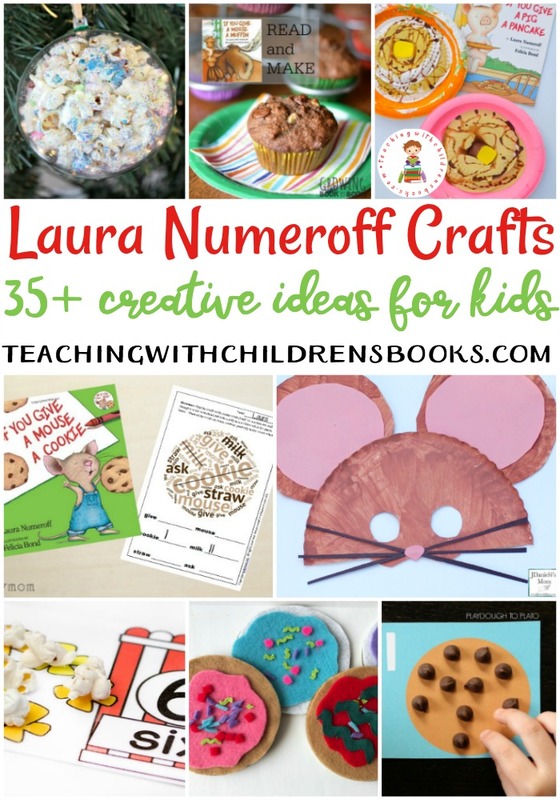 Below, you’ll find more than 35 hands-on activities to go with Laura Numeroff’s books. 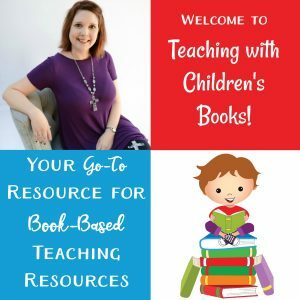 From recipes to printables and sensory activities to crafts, how will you ever choose which one to start with? Print out this fun preschool learning pack featuring early literacy and math activities. Toddlers and preschoolers will love decorating their own cookies with this Felt Cookie Busy Bag. Even your younger readers can follow this Visual Chocolate Chip Cookie Recipe. Just print it out, gather the ingredients, and enjoy making a tasty snack with your little ones. Break out your dot markers, and let your little ones practice counting with this Cookie Counting Activity. This set of Cookie Cards is so much fun when you add real chocolate chips for counting. With a few items you likely have in your craft closet already, your kids can make a Mouse Puppet. He’s perfect for storytelling. I love these free printable Word Clouds. They’re a fun twist on traditional I Spy activities. Crafty kids will love making a cute Cupcake Liner Mouse craft. 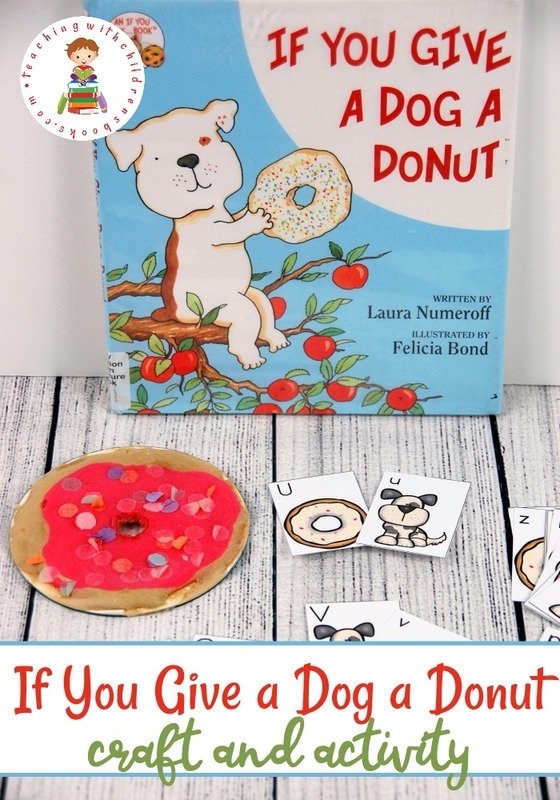 This fine motor cookie craft is a great follow-up to the story. Can you keep your little ones from eating this book-based sensory bin? Set up a foam dough cupcake making station, and let your kids make their own unique creations. These puffy paint cupcakes are sure to be a hit with your students. Turn a Letter C into a cat, and you’ve got the perfect craft for this story. Turn an ordinary coffee filter into a simple cupcake craft for toddlers and preschoolers. These no-bake paper cupcakes are perfect for pretend play. Here’s a fun cupcake-themed early learning pack you can print out and use with your preschoolers. Six felt cupcakes you can make for your classroom felt board. Kids can practice building words with these pig-themed CVC word puzzles. Make piggy pancakes for breakfast or for a snack. 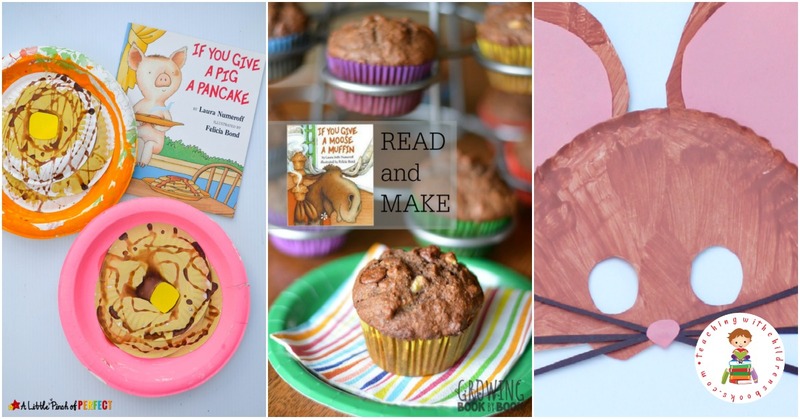 With these printables, kids can practice counting pigs and pancakes. Kids will love assembling these paper plate pancakes complete with “syrup”! In this pancake-making pretend play center, preschoolers can whip up some pretend pancakes for each other. Turn an ordinary paper P into a cute pig with a curly tail. Have you ever wondered what would happen if you deviate from your pancake recipe? Give it a try with this fun pancake experiment. Set up this fun invitation to create playdough pancakes for your young learners. Young readers can practice matching uppercase and lowercase letters with this ABC muffin game. Make some muffins. These hot chocolate banana muffins look awfully tasty! Here are some gluten-free muffins for those of you who need it. This paper plate muffin craft is pretty simple for little ones to complete on their own. Serve some moose tracks trail mix at snack time. Send your little ones on a scavenger hunt looking for items from the story. Make a paper bag moose puppet and let “him” retell the story. These Popcorn Counting Cards are a great follow-up to this story. If you’re reading this story at Christmas time, your kids can create some glitter popcorn ornaments to hang on the tree. Kids can use all five senses as they explore this popcorn sensory bin. Here’s another kid-friendly Christmas craft to add to your collection. This popsicle stick holiday mouse will look so cute hanging on your tree. After your kids make this paper plate mouse mask, they’ll enjoy acting out the story.